Bauer Nexus 4000 Sr Shoulder Pad | Sports Etc. 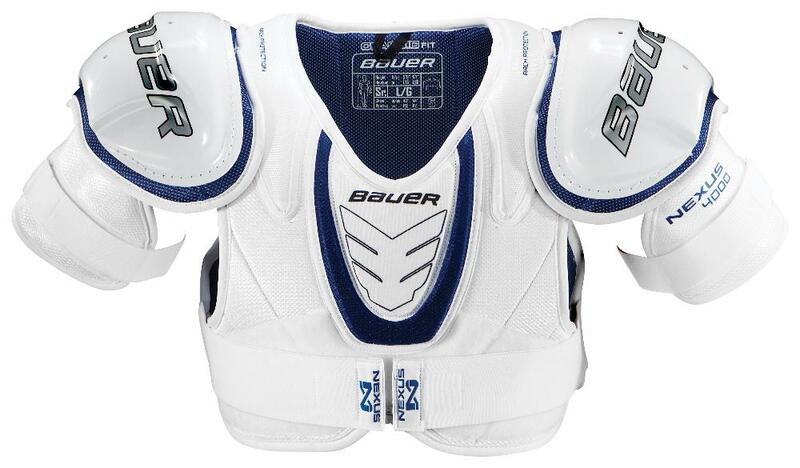 The Bauer Nexus 4000 is a very spacious and protective shoulder pad. The classic-style fit allows for excellent mobility, while still providing a solid level of protection. Reinforced mid-density foam throughout the spine, shoulder and sternum allows for added protection. Sports Etc Performance To Value Rating– 7 out of 10. A good value shoulder pad. Protective enough for anyone playing at the men’s league level.